There hasn't been too much on the crafting front lately. I did do some weaving (the blogiversary scarf), I did do a few rows on the Leaf Yoke Top here and there and at knit night last Friday, and I did manage to knit a few rows on other projects, but other than that I've been feeling way too burnt out and lethargic to do much else. I'm really hoping that I can snap out of this funk real soon and have my energy levels back up to where they used to be. I'm getting really sick and tired of this lifeless rut that I seem to be stuck in. 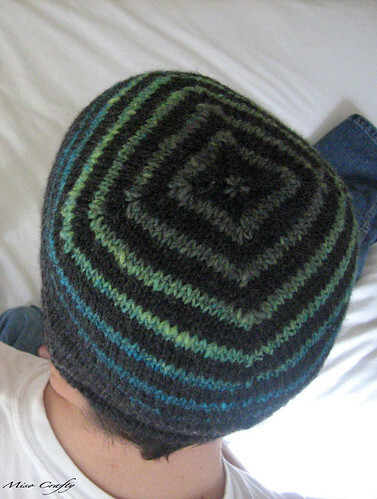 Anyways, I did manage to start and finish a hat for Brett in a weekend a few weeks ago, only because the pattern was so simple, easy, and quick. This is my first attempt at knitting Brett a hat, since all previous attempts were crochet...and all those attempts had gone horribly wrong! One attempt ended with the hat looking like a tea pot cozy, and another ended up fitting my then 6 month old son instead of a 30 year old man! It amazes how, after so many fail attempts, I just didn't give up trying to make Brett a hat. Yet the stubborn part of me was overly determined and I've been on a lookout for a suitable pattern since. 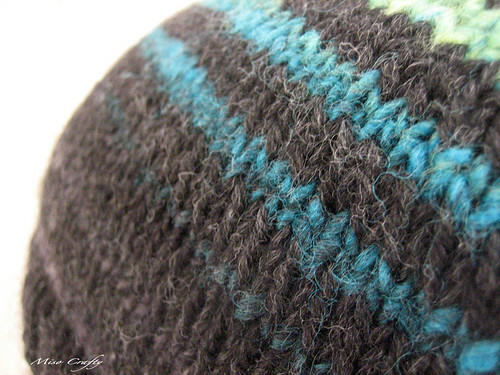 A few weeks ago I felt this sudden and utter urge to knit up Brooklyn Tweed's Turn A Square Hat pattern. Since I'm on a yarn diet and am determined to start using up as much of my stash as possible, I rooted around and managed to procure the materials needed for this project. 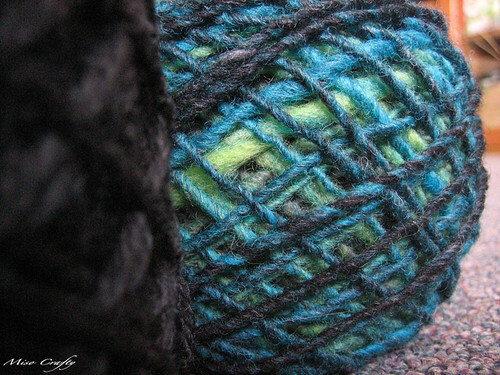 I didn't have any Noro Silk Garden but after perusing the projects on Ravelry I decided that the random skein of Kureyon that I had would suffice, which was perfect cause it was in the colors that I was hoping to be able to use. I have a bunch of Kureyon in my stash but don't know why this single skein in this colorway was in there. 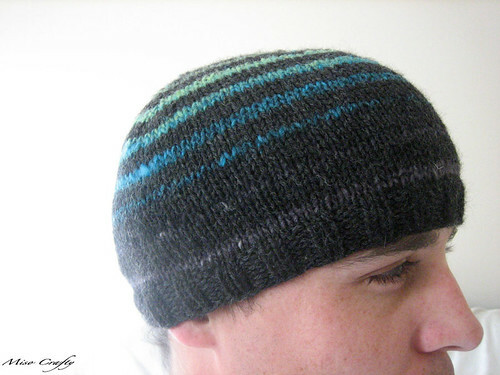 This leads me to believe that I am destined to make this hat. Even though my gauge swatch was spot on, for some reason a quarter of the way into knitting up this project I decided to start knitting loosely. I guess I was a little nervous that this wasn't going to fit Brett abnormally large and odd shaped head. 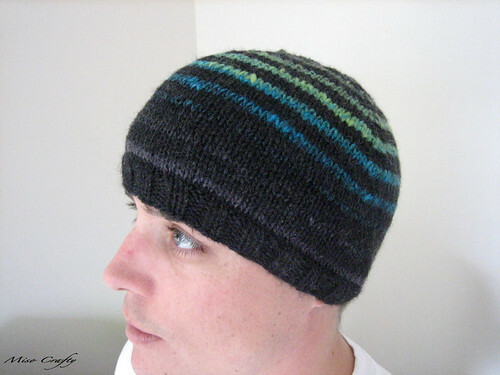 Not only is this hat a super easy and quick knit, but it implores you to carry the unused yarn up every second row, which means no constant cutting and weaving in a million ends. I love Jared Flood. He also encourages you to try out and practice the art of jogless stripes, which is so simple and easy that I'm not sure why I had avoided stripes all this time. Jared Flood definitely knows what a lady knitter wants - no excess ends and encouraging of new techniques. 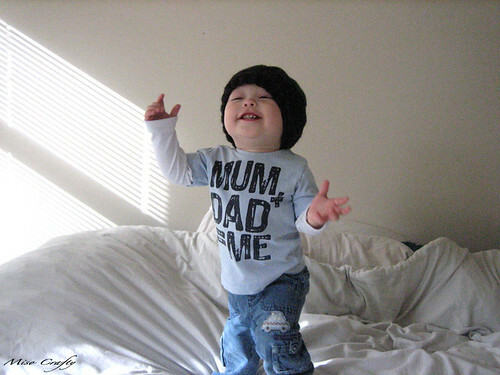 While I was trying to get photos of Brett in the hat the Munchkin was jumping around on the bed (we were all in the master bedroom, where the best light was at the time) and being an overall goofball. Brett had put the hat on the little dude and in turn he thought it was crazy time! I, on the other hand, thought it was too cute for words time! Mel, I love that t-shirt the kidlet is wearing! where did you find it? The toque looks great! The shirt was an Xmas gift from one of his uncles. Since I'm a fan of the store, I can tell with you utmost confidence that it's from H&M. And I'm going to look for that shirt because it's AWESOME! I get to finally check out H&M in July on a work trip - yay!